Hosted by actor and gun enthusiast Joe Mantegna, Gun Stories takes viewers through a firearm's history, from the heart of the design through its use on the range. Using state-of-the-art, high-speed photography, Gun Stories looks at the operation and performance of each weapon, from classics like the Mauser bolt-action, to cutting-edge firearms like the Adaptive Combat Rifle. 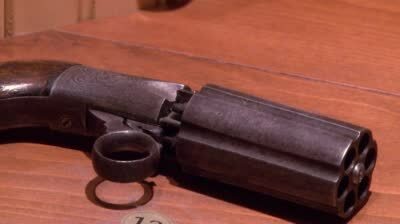 Throughout the series, historians, shooters, trainers and industry experts place these weapons in their historical and social context, making Gun Stories a unique and definitive collection on the history of firearms. Sam Colt's pioneering line of cap and ball revolvers changed the way firearms were used forever.